The game is set in ancient Persia. 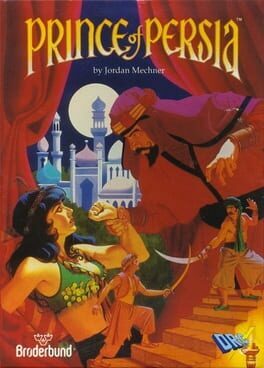 While the sultan is fighting a war in a foreign land, his vizier Jaffar, a wizard, seizes power. Jaffar's only obstacle to the throne is the Sultan's daughter (although the game never specifically mentions how). Jaffar locks her in a tower and orders her, under threat of execution, to become his wife. The game's nameless protagonist, whom the Princess loves, is thrown into the palace dungeons. The player must lead the protagonist out of the dungeons and to the palace tower, defeating Jaffar and freeing the Princess in under 60 minutes. In addition to guards, various traps and dungeons, the protagonist is further hindered by his own doppelgänger, an apparition of his own self that is conjured out of a magic mirror. 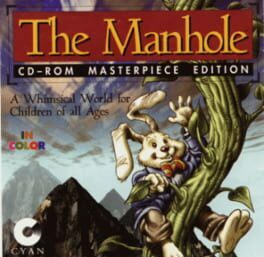 In 1988 you met Mr. Rabbit and a host of his friends in the World of the Manhole. Your friends are still here, but they've done some remodeling. Prepare for a grand adventure in the world of the Manhole Masterpiece Edition. A world of epic wonder and whimsical magic. A fantastic world where every character comes alive and every new hallway leads to another wild dream. Just point and click. Soon you'll find yourself shooting down a winding waterway with Rejan Elephant. Click again and you're climbing to the top of the rook tower to great Molly Rhinoceros. Click on Mr. Rabbit's dresser drawer and moments later you're flipping through the pages of his noisy ABC book. Or you're suddenly transported to dine with that esteemed soul-cat, Mr. Dragon. So let the child in your home become the main character in a journey through an unforgettable land. A land where imaginations run wild and creativity is as close as the next wonderful doorway. Though officially for children, The Manhole has bright colors, magical locales, and cheerful adventure to delight players of all ages. Follow Mr. Rabbit through the manhole and into one of the most wondrous make-believe worlds you'll ever find. Your adventures under the manhole will take you to many odd places -- in this game, the journey is much more important than the destination. 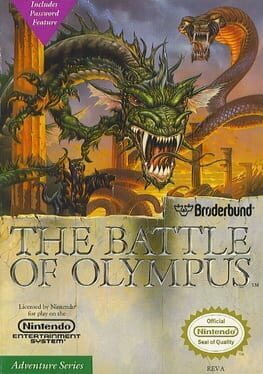 The Battle For Olympus was developed by Infinity and Radical Entertainment for the Nintendo Entertainment System and Nintendo GameBoy. 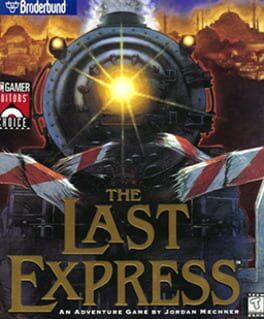 It was released in 1988, the year after Zelda II was released. The game borrowed many concepts from the popular Zelda game, utilizing various special weapons and tools as the game progresses.